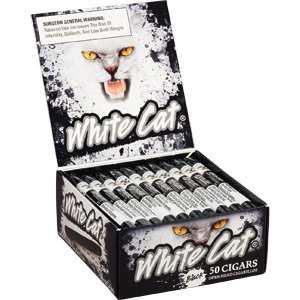 When I think White Cat Cigars, I think of a gas station near my house. I have seen them there many times (hard not to notice them with the crazy packaging LOL! ), but I have never bought and smoked them. I ordered them from buydiscountcigars.com and decided to see if these bad boys would make me purr like a kitten. When I opened the shipping box I knew white cat box right away. How many cigar boxes are black and white with neon white lettering and a giant white tiger face on them? If you said only White Cat Cigars, you would be right. But, how much do you care about a box, it is the smoke that matters right? White Cat Cigars are grown and made in the Dominican Republic, and as you know, they do make some fine cigars down there. However, at the price for White Cats, I was not expecting a fine cigar. When I took a cigar out and smelled it, I have to admit, the aroma of the cigar is very nice. 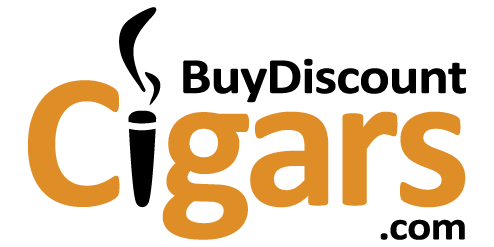 My expectations of the smoke to come rose very quickly. The cigar itself does not look impressive though. I noticed the cigar was not a perfect cylinder, and that there were imperfections on the wrapper. Lighting the White Cat Cigar was simple enough, but keeping it lit, well that was not so easy. It does take a stronger draw, so if you are a big puffer, you should be fine, but if you are a little weak in the lungs, you may struggle with it a bit. The smoke itself is not bad at all, though I did notice a bit of bitterness in the flavor. Overall, I would say they are much better than most brands you can pick up in a gas station on the cheap.